Situated on a small island in the middle of Breidafjordur Bay, this tiny 11-room hotel sits in a group of converted warehouses flanking the old market square. A charming establishment with great views, Hotel Flatey sits in the centre of the old village. The houses in the old centre are timber structures dating from the island’s former prosperity and most have been restored in their original style. 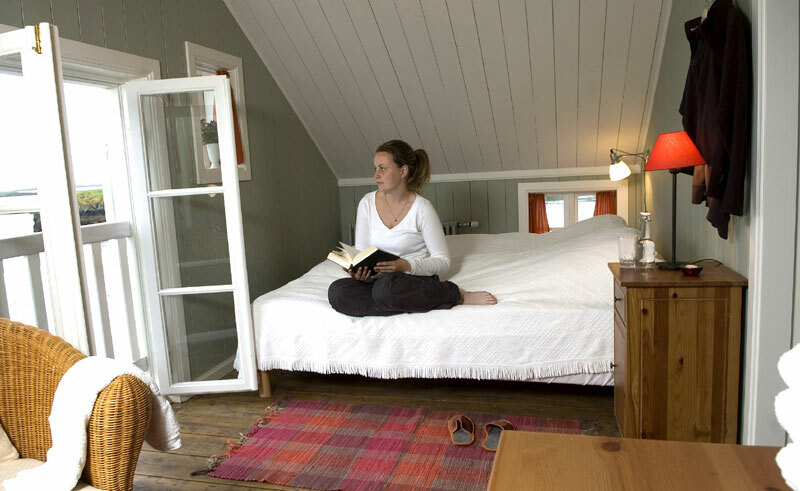 The island’s ambience is yours to enjoy while staying in this cosy and welcoming accommodation, and when not wandering this historical streets, we encourage you to get out onto the coastline where Arctic terns make their nests. The restaurant features views over the village, set to accompany a marvellous breakfast buffet that often includes the flavourful local bird eggs. The a la carte menu specialises in Icelandic seafood dishes, often freshly caught that day. All rooms have shared bathroom facilities.